Participants are responsible for making their own air travel arrangements through the Memphis International Airport (MEM). Travel distance from Memphis International to the Ole Miss campus is approximately 75 miles (1 hour and 15-minute drive). Rental cars are available at the airport or a shuttle service provided by the University of Mississippi is available. The cost of the shuttle is $135 round trip or $85 one-way. Shuttle reservations must be made and paid for in advance of travel by check (made payable to the University of Mississippi), Visa or MasterCard only. If you would like to use the shuttle service, please contact Alison Michel, Project Administrator at (662) 915-5132 or shuttle@olemiss.edu. Shuttles will be confirmed via e-mail. Please meet your shuttle driver inside the airport and nearby Baggage Claim, Area B escalator. Participants are responsible for making their own room reservations. The Inn at Ole Miss and Courtyard Marriott in Oxford have reserved block rooms for Tablet Course participants. 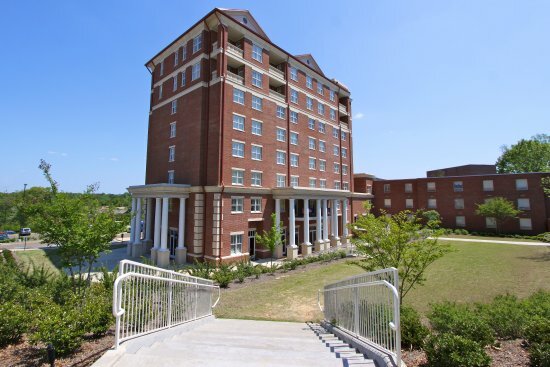 The Inn at Ole Miss is on campus close to on-campus lecture and laboratory facilities. 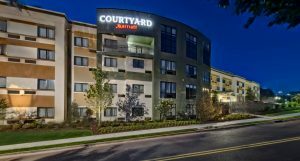 The Marriott is located adjacent to the University of Mississippi campus at 305 Jackson Avenue East close to campus facilities also. Reservations at either of the referenced hotels should be confirmed two weeks prior to the course to receive the reduced rates. Other local area accommodations are available. The Inn at Ole Miss: Call (888) 486-7666 or (662)234-2321 and inform hotel staff you are a Tablet Course attendee to get reduced room rates. Reserve your room in the UM Pharmacy Tablet Course 2019 block here. Contact Ms. Deborah King for special needs such as sight, hearing or access at the course.